As our mission statement indicates, we are constantly striving to empower our students “to better their island and the world.” But before we can improve the world, we first need to understand it. And before we can understand it, we first need to know where the world is! On that note, I wanted to celebrate all of the Grade 4-8 participants in this morning’s Geography Bee. They demonstrated great poise under pressure and curiosity about the world around us. These future ambassadors, entrepreneurs, scientists, and leaders of other industries will undoubtedly collaborate effectively with multinational and cross-cultural teams. Part of competition—and life—is dealing with rejection and denial. Do you quit, or do you learn what you can from the experience and keep moving forward? As our seniors right now receive many acceptance letters from wonderful colleges and universities across the country and around the globe, they also inevitably receive rejection letters. Our college counselor, Ms. Thatcher, shared this article HANDLING THAT MOMENT with senior parents recently, which includes wisdom that is relevant to all parents in helping their children develop a healthy mindset to handle rejection. With all the stresses of life, it is important to mix in plenty of fun. What better way than with a dance? 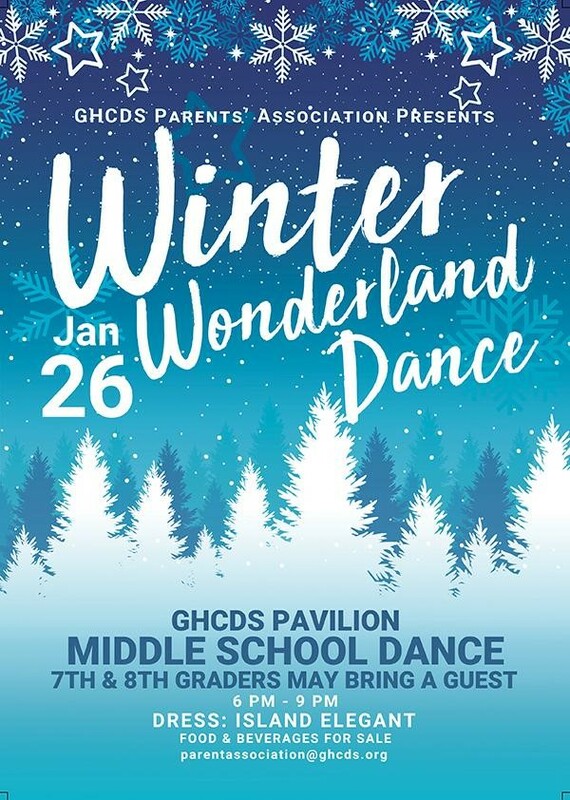 Our Parents’ Association will be hosting a Winter Wonderland dance in the pavilion on Saturday for our 7th and 8th graders. We know they will have a ball! 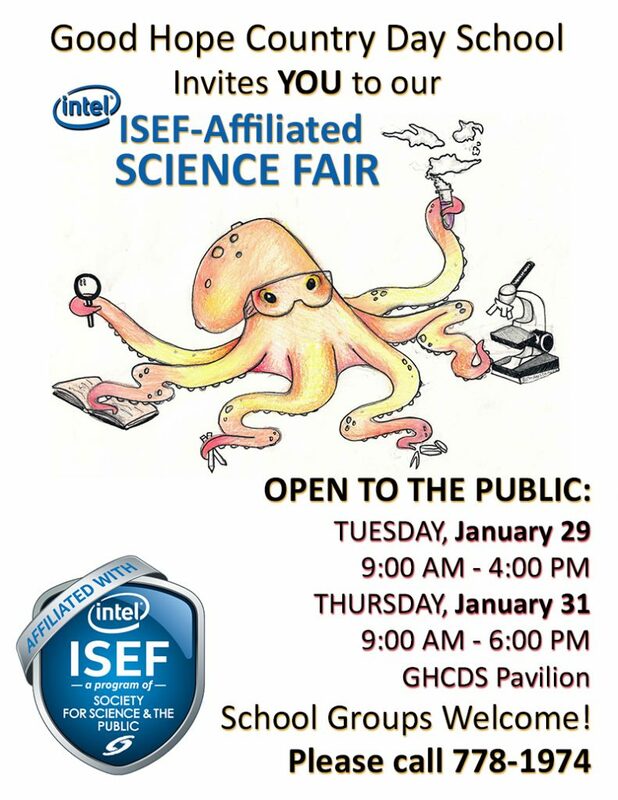 Lastly, next week is our Science Fair! We are thrilled to have our students demonstrate their learning from the last several months. 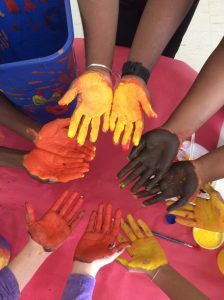 Besides developing expertise with their particular content, the students have the opportunity through Science Fair to develop critical skills, which include project management and follow through (difficult even for adults! ), experimentation and data analysis, clear and concise writing, and presentations. 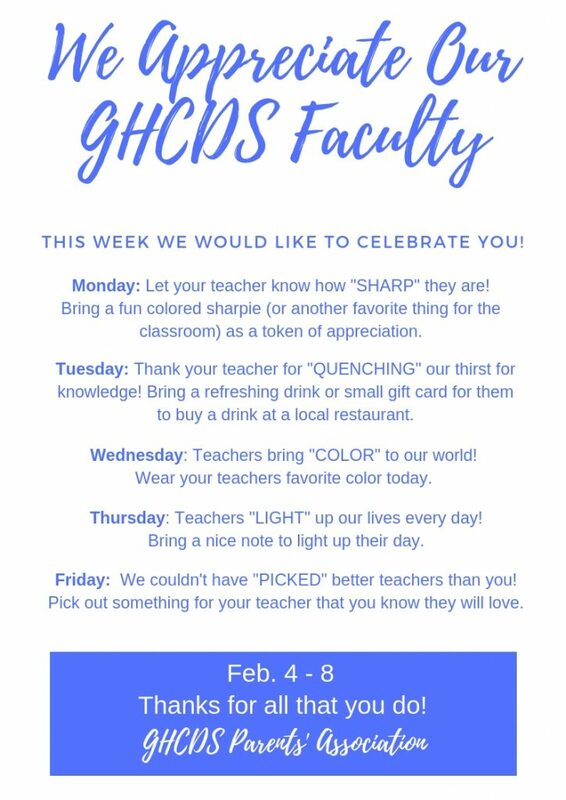 We hope you can visit during the week. A special thanks to Ms. Hotter, Ms. Mares, Ms. Wilson, Ms. Mahoney and Mr. Armendariz for dedicating their time to auditions. Congratulations to the cast of Mamma Mia! Ms. Schill’s Advisory decorated two recycle bins to hopefully catch everyone’s eye so they all get on board. One is located by the snack shack, and the other by the upper school fountain. 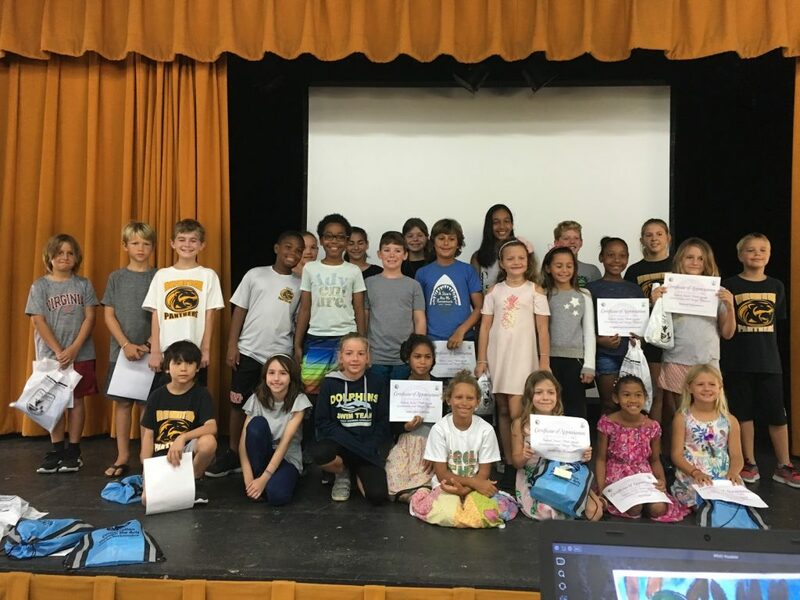 The Class of 2022 encourages everyone to recycle! 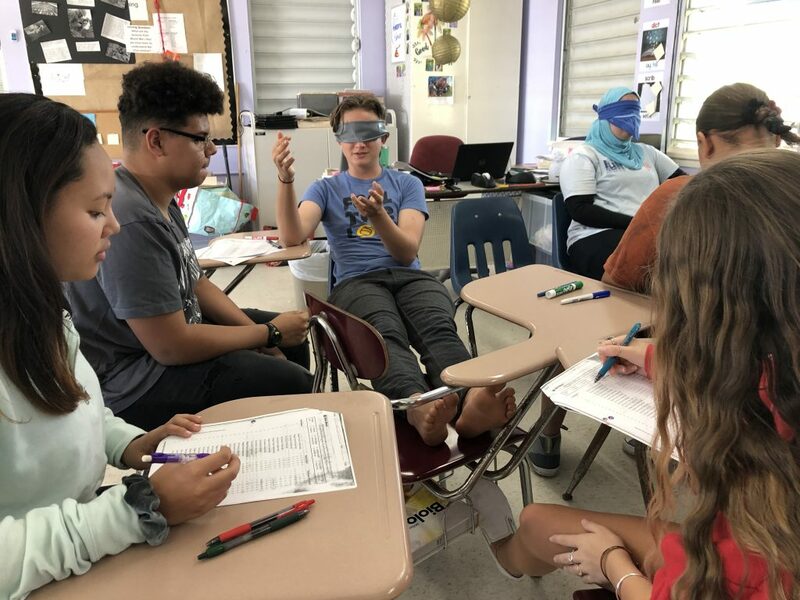 Students in Ms. Croney’s Psychology class spent the week learning about Bio-psychology. Their studies began with a lab testing the human nervous system using students as subjects and experimenters. The young scientists performed a single-blind experiment by measuring the accuracy of reported identification of finger and toe touches. After analyzing the data, students reached conclusions about which toes and fingers were most sensitive to touch. 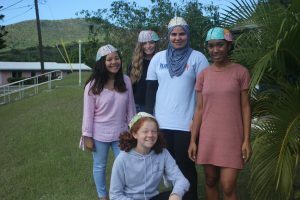 Our week concluded with Split Brain discussions, and students created their own Hemisphere Hat to aid in remembering which parts of the brain hold responsibility for various behaviors. Our Middle School boys basketball team started off their season with a win over St. Mary’s at Free Will School. Congratulations, Coach TeWinkle, on your first Panther win! Our Panther runners took the track this week, and I’ll let you know how they did in next week’s news. As I type they’re preparing to compete. Go Panthers! Our Elementary basketball teams had their first away games at Juanita Gardine Elementary School. The girls played first, with a close loss to Lew Muckle after a great comeback. The boys played an older and more experienced Lew Muckle team, which meant a harder loss, but they learned a lot, and will have better games ahead as a result! We’ve got one more week to prepare before JV and Varsity basketball begins, with a projected tip off date of February 4th. We’ll be getting them dressed in new uniforms by the end of the week. We can’t wait to see all their hard work in action! Please remember that participation fees for Track and Field are $20, and Basketball fees are $25 Elementary, Middle School $35, JV and Varsity, $40. Thank you for taking care of those promptly if you haven’t already. ● Elementary Girls Basketball-No Games this week, so Tuesday and Thursday practice, 3:15-4:30 slab. ● Middle School Boys Basketball-Thursday, 3:15-4:30 GYM! Yes, GYM time for you! ● JV Girls Basketball-Tuesday and Thursday 3:15-4:30 slab. Next week, gym time for you! ● JV and Varsity Boys Basketball-Monday, Wednesday and Friday, 3:15-4:30 gym. ● Track and Field-Monday and Wednesday, 3:15-4:30. ● Middle School Boys vs. Elena @ Free Will, 2nd game, near 4:45. Taxi leaves at 3:30. Have a great weekend, and Go Panthers!